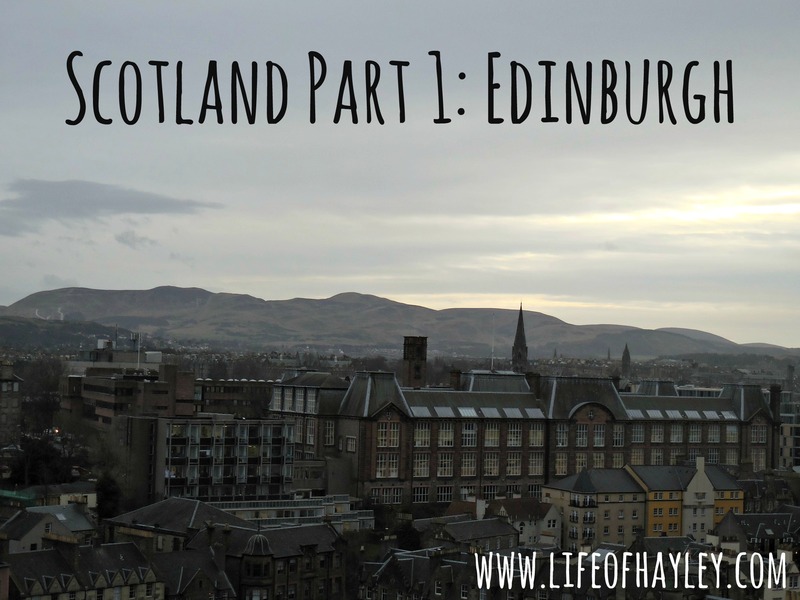 As promised, here is part 1 of my amazing adventure in Scotland! 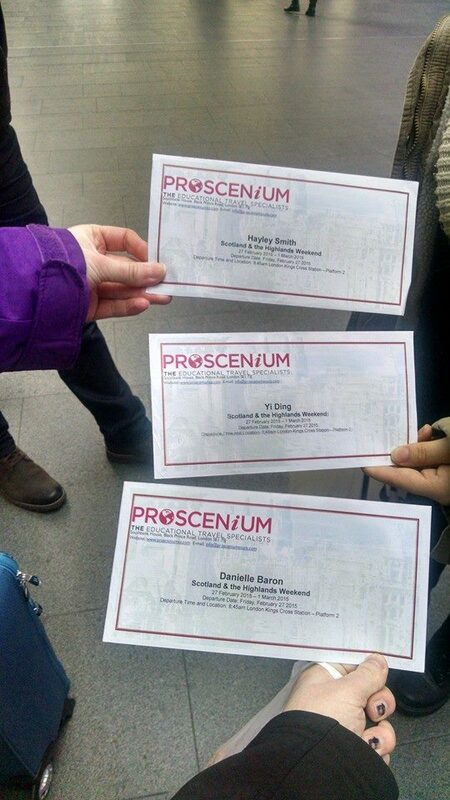 I went on a trip sponsored by Regent’s through Proscenium Tours. 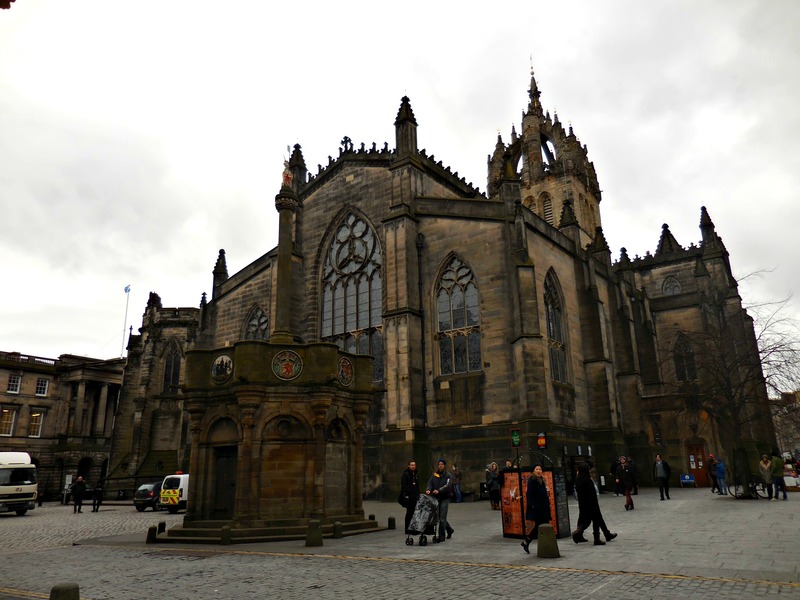 The trip included our train tickets to and from Edinburgh, a charter bus in Scotland, breakfast, 2 nights at hostels, a tour guide, and admission to all of the attractions that we went to. The adventure started bright and early on Friday. I was smart and packed the night before so all I had to do was change into my pre-selected travel outfit and take my bags downstairs. I met a girl named Dani through Facebook and we decided to travel to Kings Cross together to catch the train to Edinburgh. On the short tube ride to Kings Cross we met another girl from Regent’s, Diana, and the three of us became fast friends. 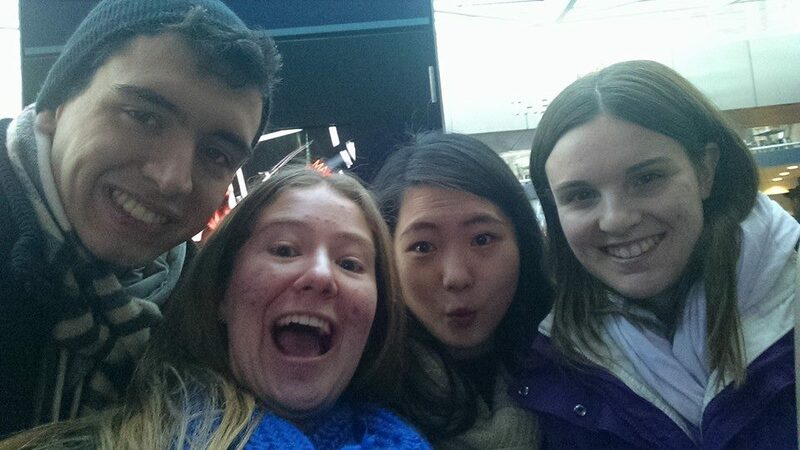 Before leaving Kings Cross we had to take a quick picture at Platform 9 ¾. The train to Edinburgh was about 5 hours and actually went by pretty fast. Once in Edinburgh, all 39 of us from Regent’s stepped off the train and met our guide for the weekend, Graeme. He turned out to be the best tour guide. 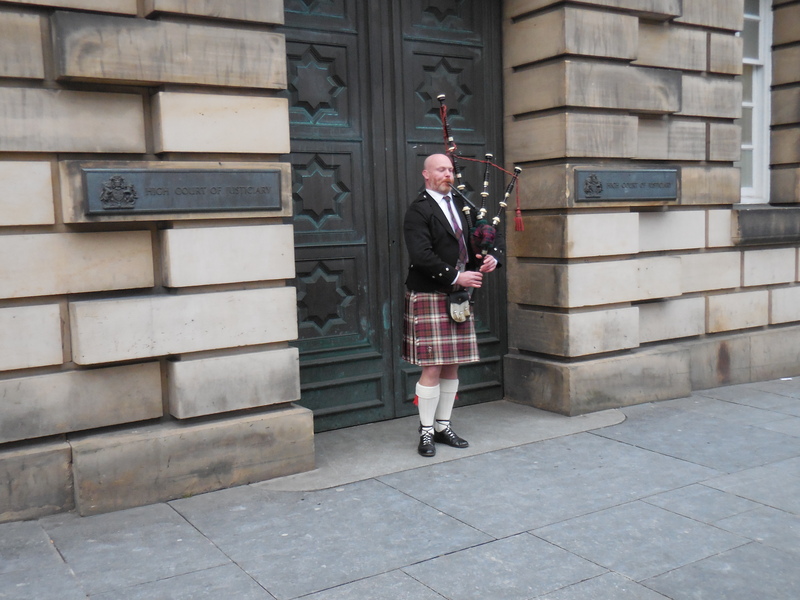 He had a strong Scottish accent and was sarcastic and hilarious as well as knowledgeable. 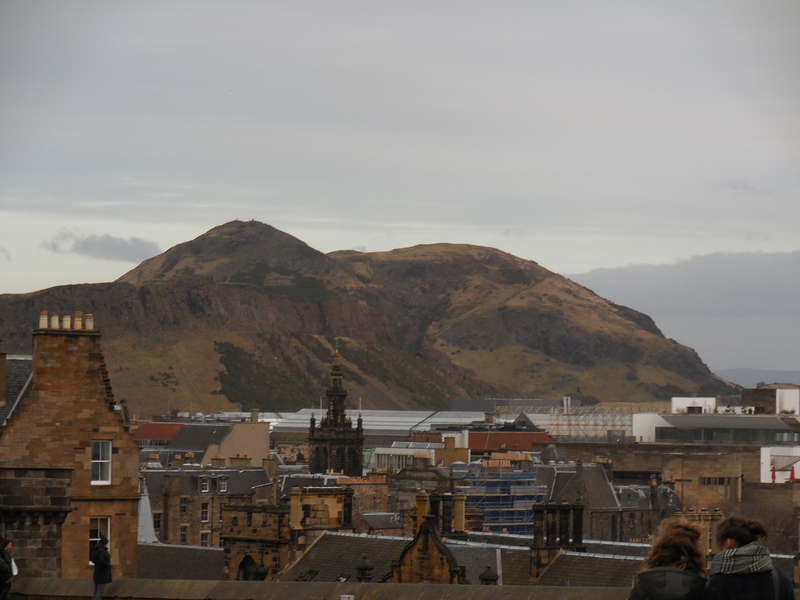 Graeme took us to our hostel, SYHA Edinburgh Central, where we quickly dropped off our luggage before heading out for a walking tour of beautiful Edinburgh. 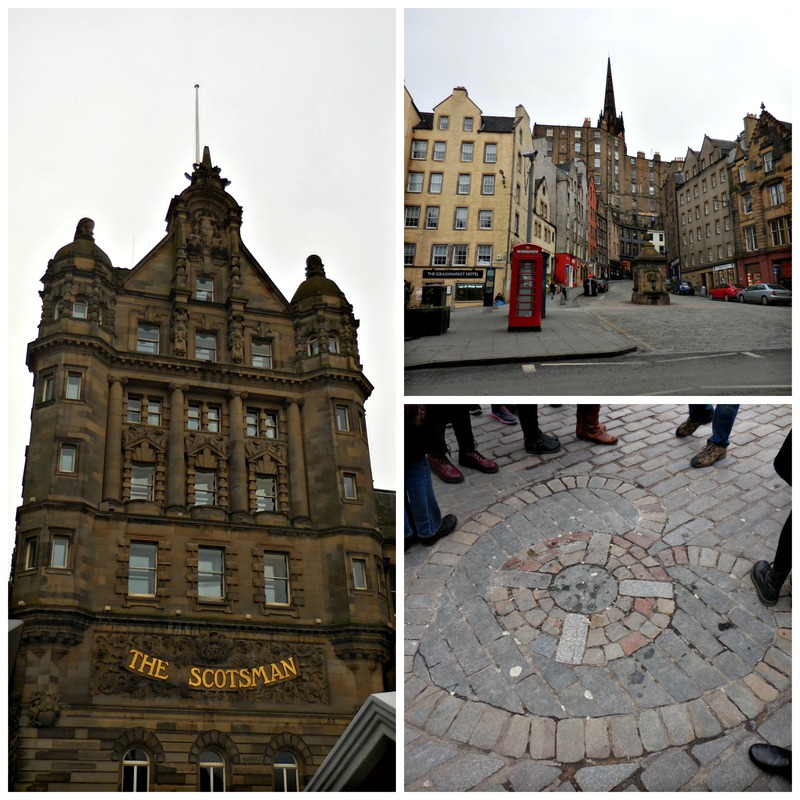 Graeme showed us all of the sights as we walked down Royal Mile and taught us all of the history. We walked around for a couple of hours listening and learning as he spoke to us. I was surprised when he kept taking us to Harry Potter sights. I knew that the story of Harry Potter was “born” in Edinburgh but I never expected to see so many important Harry Potter sights. It was amazing. 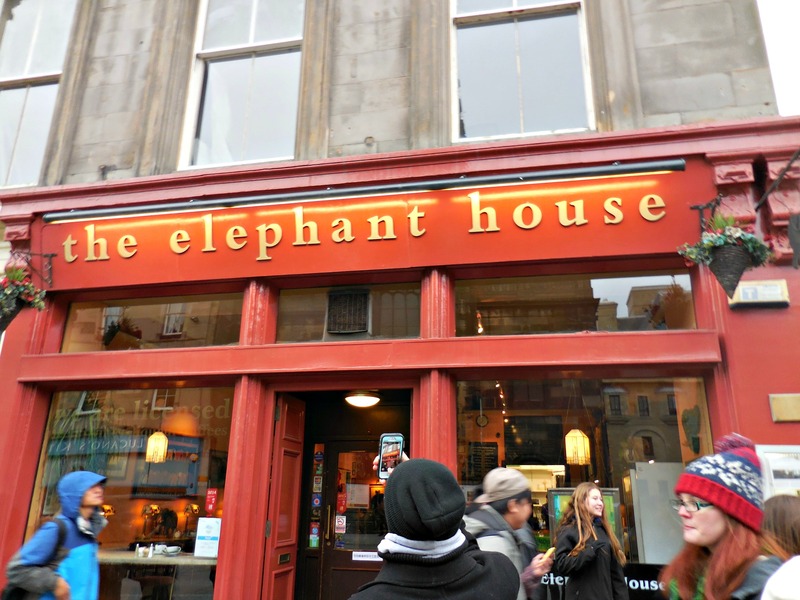 We saw the hotel where JKR wrote the last HP book, the Elephant House aka the “birthplace” of Harry Potter, Tom Riddle’s grave where JKR got Voldemort’s real name, the castle that Hogwarts was inspired by, and many sites from the HP films. 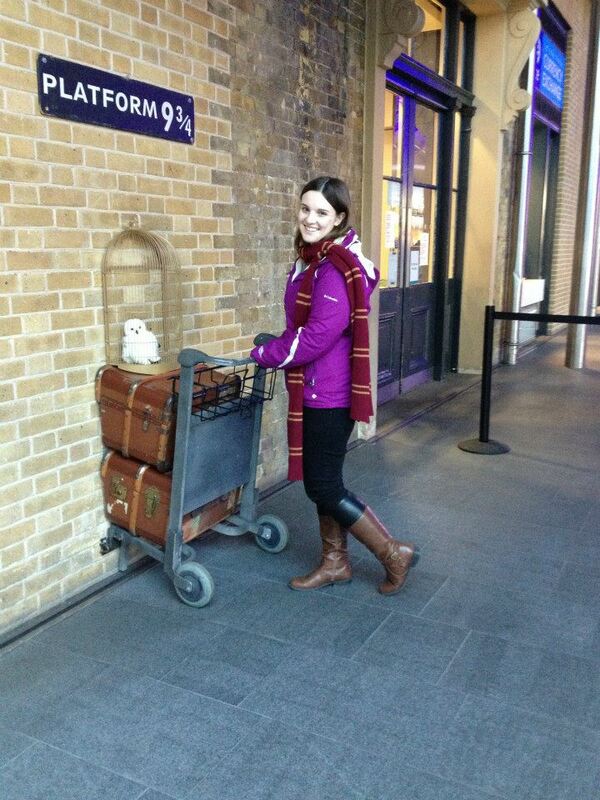 Needless to say, I was in Harry Potter heaven and basically freaking out the whole trip. I’m a nerd. 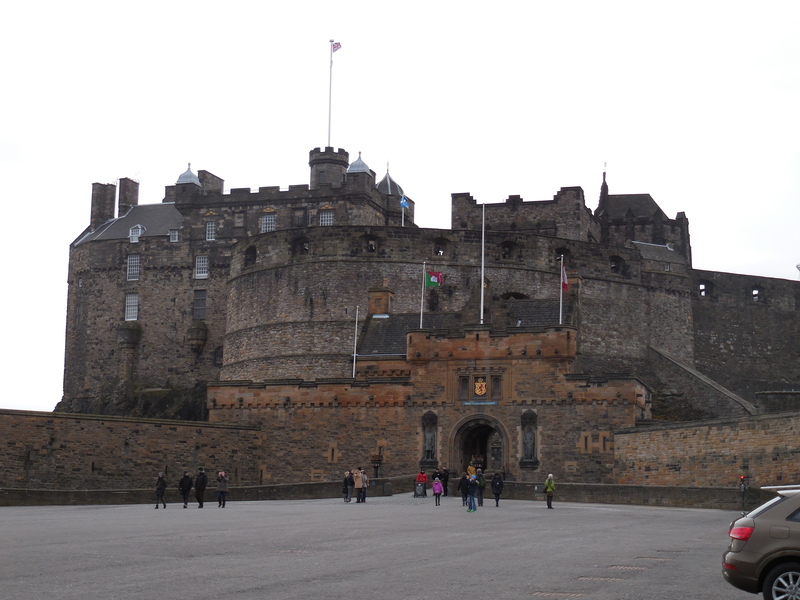 We ended the tour at Edinburgh Castle. We didn’t go inside the castle because it wasn’t included in the price of the trip and it was already almost 6 pm so we wouldn’t have had much time before it closed. 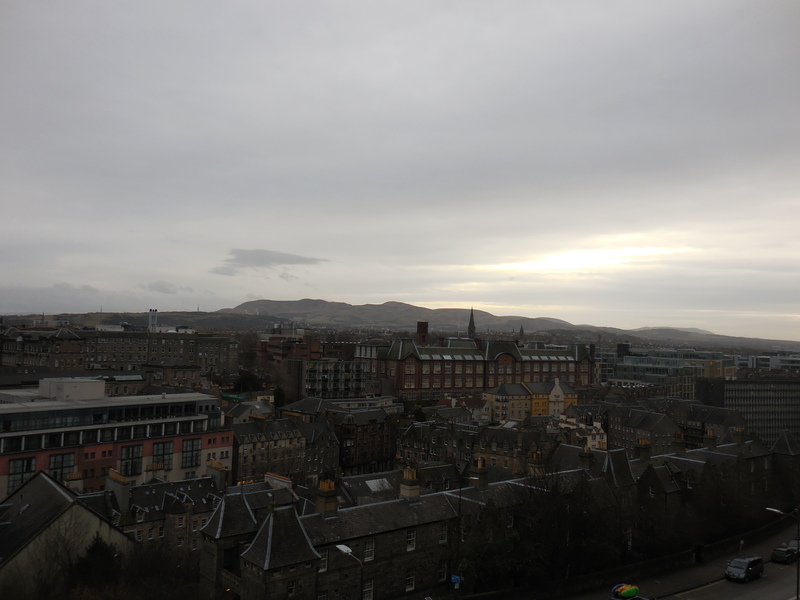 The view from the castle was amazing; you could see the whole city of Edinburgh. After the tour ended we walked around the town and stopped by little shops here and there. I picked up two cashmere and wool scarves and a cute little stuffed sheep ornament. After walking around for a while we decided to search for a place to eat. We all agreed that we wanted to try something new that we wouldn’t usually eat. Therefore, we ate at a nice Indian Restaurant. Our waiter was really nice and patient with us. He suggested that I try the chicken korma since I HATE spicy food. Diana and Dani both ordered and once our food came we all tried each other’s choices. I was brave and tried the spicy dishes and ended up with watery eyes while Dani and Diana laughed at me. Ha-ha it was a fun night. After we went back to the hostel and turned in early because we were leaving for the Highlands at 8:30 the next morning. It was a perfect and unforgettable first day in Scotland. I was amazed by the history and age of the city. 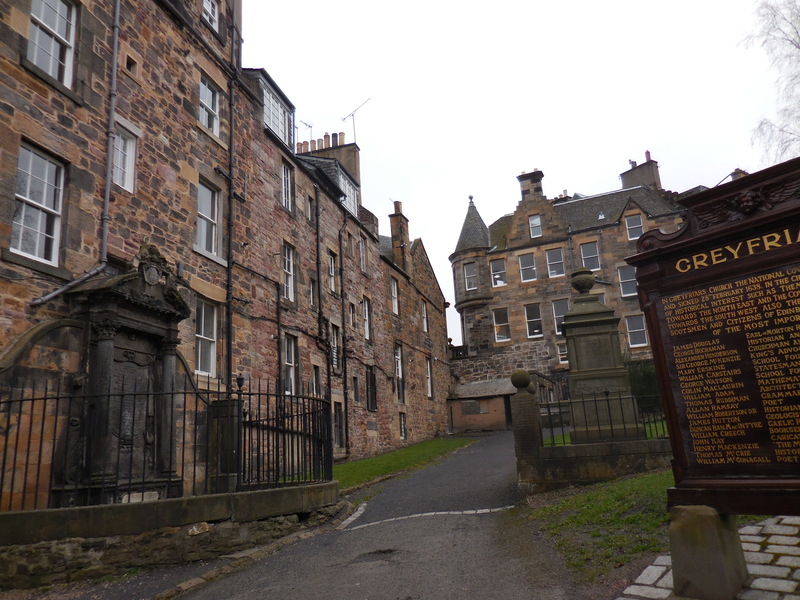 The “new” part of Edinburgh is older than the United States! Thanks again for reading! 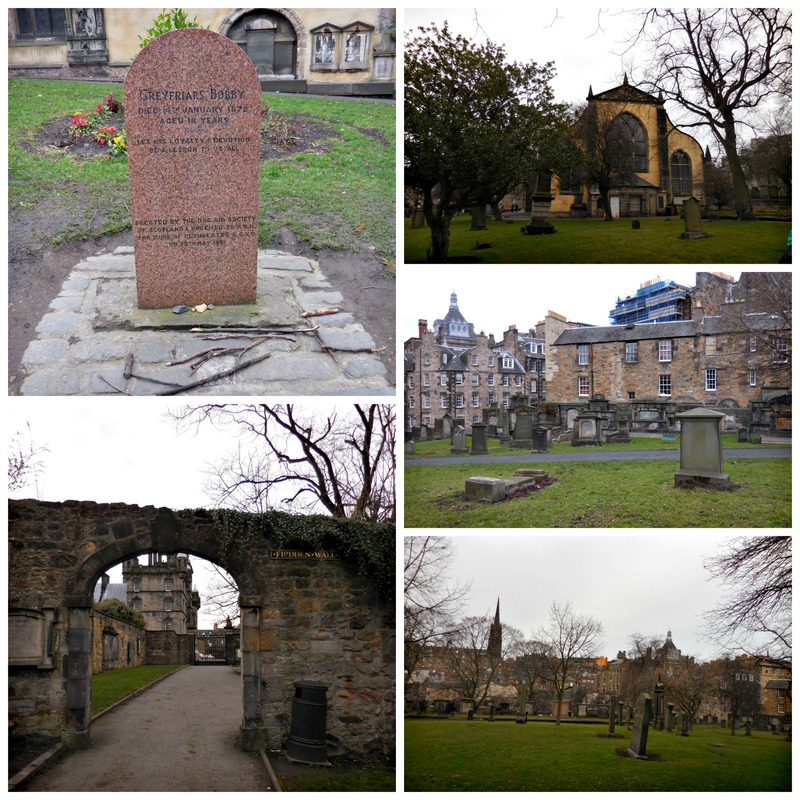 Has anyone else been to Edinburgh? 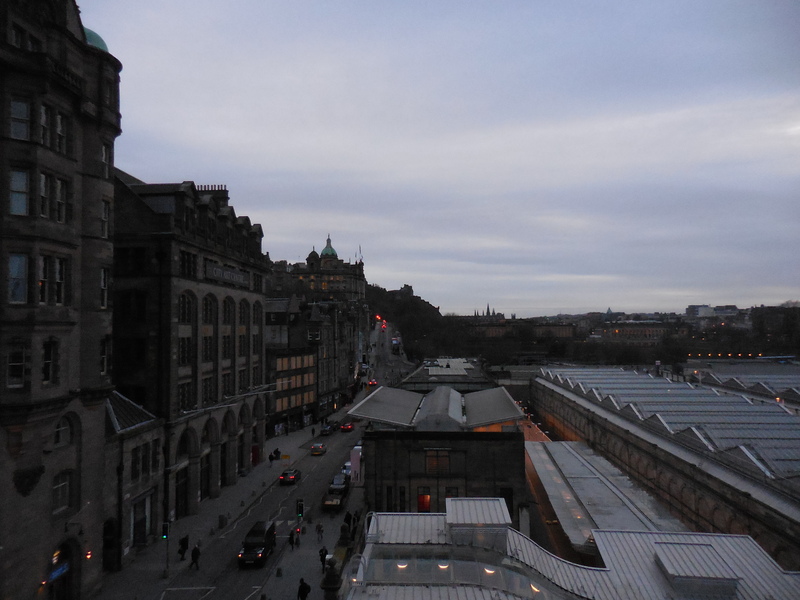 I love Edinburgh, it’s a gorgeous city but can be super busy! Thank you! 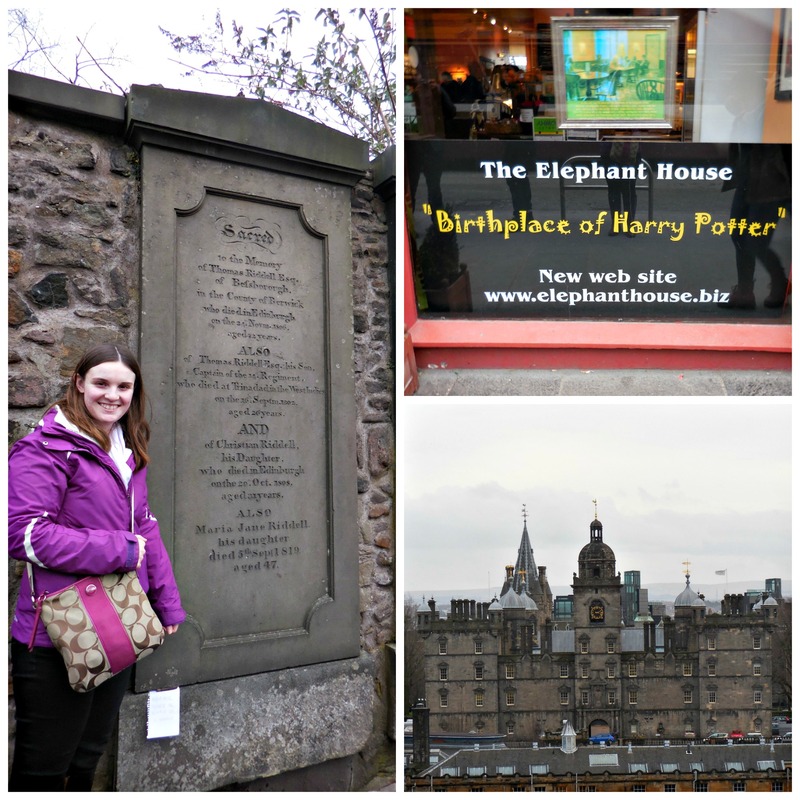 I loved visiting Scotland! I’m so grateful that I had the opportunity to go!